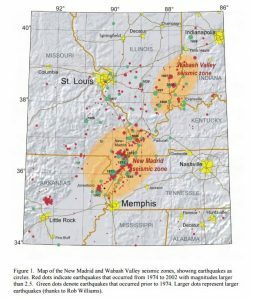 The 1811–12 New Madrid earthquakes were an intense intraplate earthquake series felt over roughly 130,000 square miles. They began with an initial earthquake of moment magnitude 7.5–7.9 on December 16, 1811 which was followed by a moment magnitude 7.4 aftershock on the same day. They remain the most powerful earthquakes to hit the contiguous United States east of the Rocky Mountains in recorded history. Less severe earthquakes in this region have happened periodically ever since. 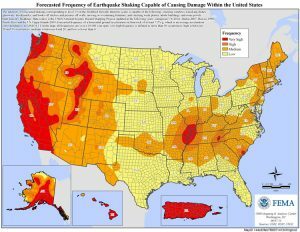 Even though the U.S. Geological Survey’s annual earthquake forecast in 2017 pinpoints Oklahoma and central California’s coast as highest risks for damaging shaking, it makes perfect sense to be prepared for an earthquake or any other natural or man-made disaster. 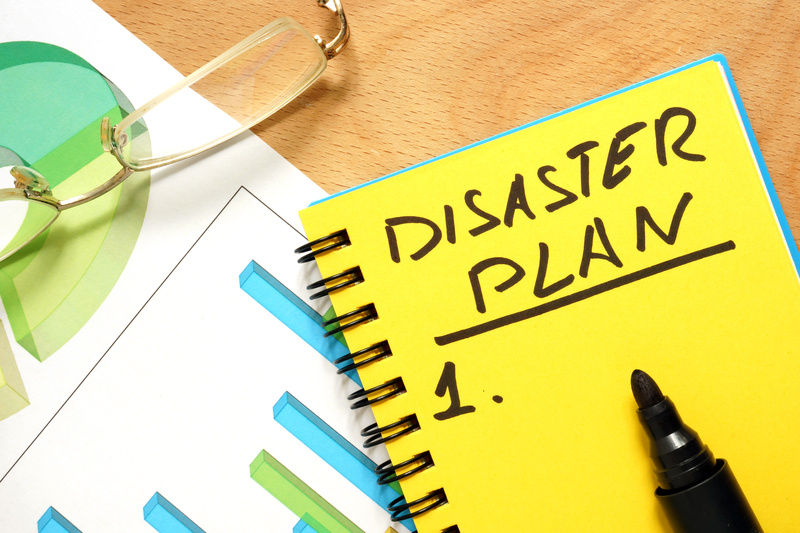 It’s important to have a plan for when disaster strikes. Here at Meramec Valley insurance, we want to help you ensure that your family and your home are safe even through the worst. Check back with us next week as we go over key questions you should be asking about your preparedness for a disaster. 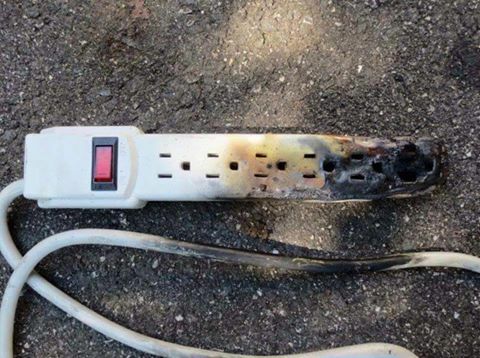 Power strips are not typically designed to have high amperage items like hair dryers and space heaters plugged into them. This is what could happen and if you are asleep or away from home, you could lose your home, your life; you could lose everything. Don’t take chances! Watch for all the little ones walking and biking to school as well as all those new bus-riding kids getting on and off the buses. Replace filters every three months. Clean filters reduce fan pressure, requiring less energy. 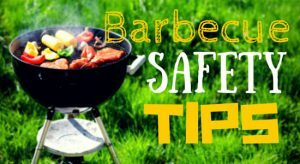 Make sure the area around the unit is free of grass clippings, leaves, and other debris. Operate with fan switch on “auto”, instead of the ‘on’ position so that the fan runs only when the compressor runs. A programmable thermostat set slightly higher during off-hours can save up to 10% in cooling costs a year. Draw shades, hopefully insulated shades, especially on the southern facing windows to minimize the amount of hot sunlight entering the room. Use efficient lighting such as LED lights that do not give off excessive heat. Ceiling fans can reduce the need for AC, resulting in a potential 15 percent savings. Check electrical connections for looseness, and signs of moisture, damage or corrosion. Recommend a power protection device to protect the unit from brownouts, power surges or lightning. Check lubricating oil in the compressor’s crankcase heater. Check that the condenser is clean and surrounding area is free of vegetation, trash and stored materials. A dirty unit can increase power consumption by 10%. Keep surfaces of the cooling coils clean with filters. 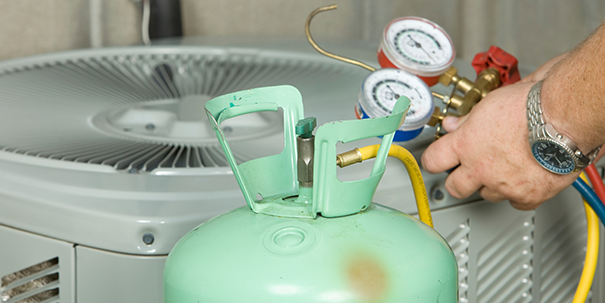 Check for proper refrigerant levels. Severe Thunderstorm Warning – A severe thunderstorm is indicated by Doppler weather radar or sighted by Skywarn spotters or other persons, such as local law enforcement. A severe thunderstorm contains large damaging hail of 1 inch in diameter or larger and/or damaging winds of 58 mph or greater. Tornado Watch ― A tornado watch is issued when weather conditions are favorable for the development of severe thunderstorms that are capable of producing tornadoes. A tornado watch therefore implies that it is also a severe thunderstorm watch. Tornado Warning ― A tornado warning is an alert issued by national weather forecasting agencies to warn the public that severe thunderstorms with tornadoes are imminent or occurring. The issuance of a tornado warning indicates that residents should take immediate safety precautions. Flash Flood Watch – Conditions are favorable for flash flooding in and close to the watch area. These watches are issued by the Weather Forecast Office and are usually issued six to 24 hours in advance of expected flood potential. Though calls regarding children still make up more than half of all calls to poison control centers, they only account for a small percent of the deaths due to poisoning. Poisoning of adults is on the rise in our nation and only stands behind motor vehicle accidents as the leading cause of unintentional injury deaths. 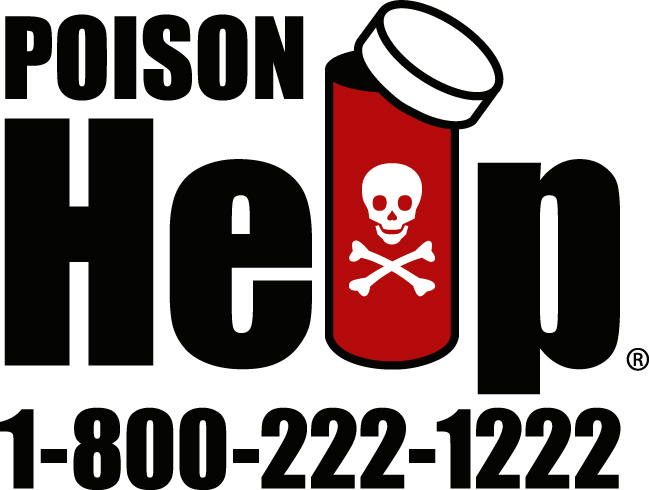 Over 1000 Americans die from poisoning every year. 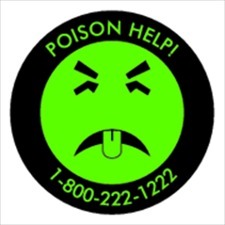 If you think someone has been poisoned, you should call the Poison Control Center at 1-800-222-1222 right away. Serious poisonings don’t always have early signs. 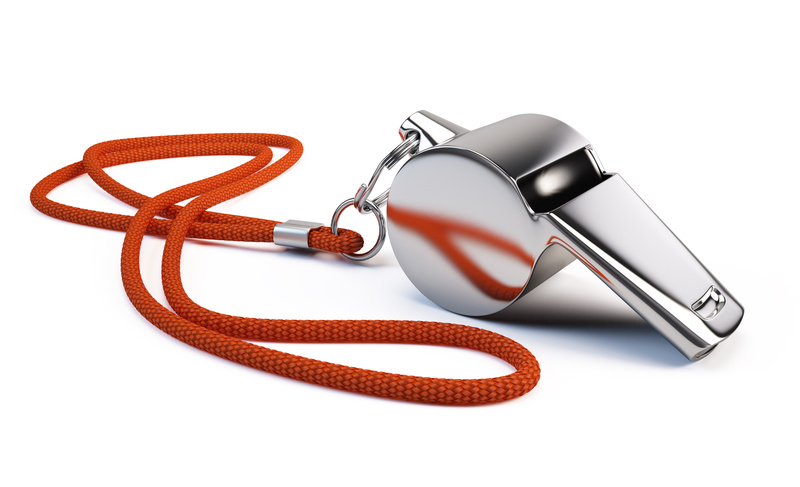 If you’re hiking or camping with children, put a whistle around their necks. Make them wear it all the time. Train them to use it if they get lost or separated from you. It’s louder than yelling and they can keep whistling as long as they’re breathing. This could mean the difference between life and death. Whether it’s hurricanes, earthquakes, are other widespread disasters, it’s never too soon to get prepared, but it will…. sooner or later… be too late. The Internal Revenue Service has acknowledged that it has paid out $5.8 billion in fraudulently filed income tax returns? January 25-29 is Tax Identity Theft Awareness Week. 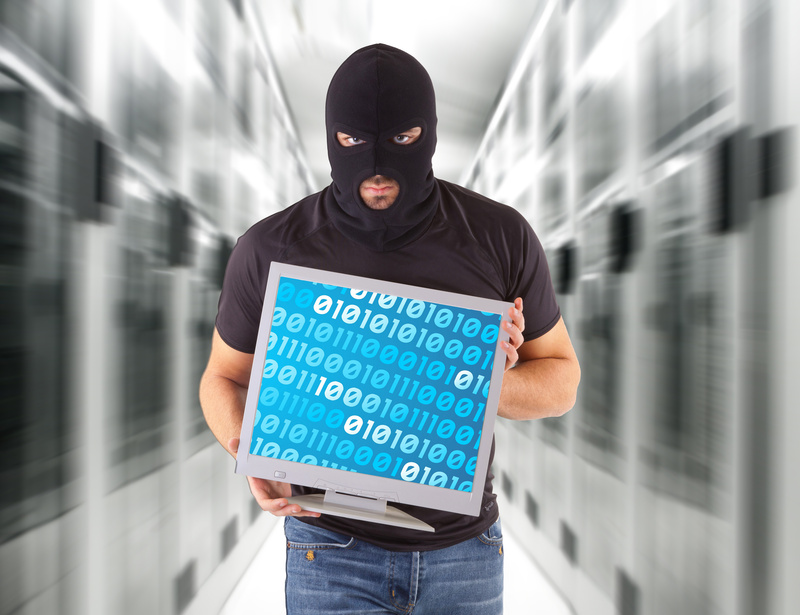 Tax-related identity theft occurs when someone uses your stolen Social Security number (SSN) to file a tax return claiming a fraudulent refund. You may be unaware that this has happened until you e-file your return and discover that a return already has been filed using your SSN. Or, the IRS may send you a letter saying it has identified a suspicious return using your SSN.